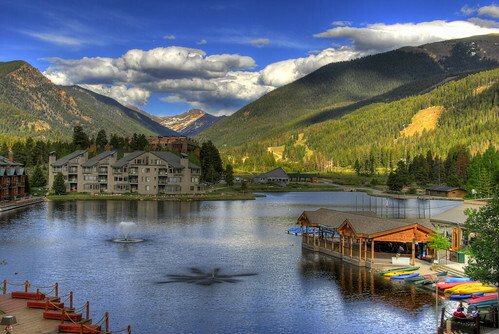 I was at a COVA (Colorado Organization for Victim Assistance) Conference for work up in the mountains this week, in beautiful Keystone, Colorado. While I sat on the balcony of my hotel room writing this it occurred to me–right after I recovered from the surprise of looking up and seeing a big, fat, black crow with an imposing fat beak and beady eyes, like he came directly from a Halloween horror movie, sitting and staring at me from no more than five feet away, which led me to finish this inside of my hotel room — that education is something so many of us take for granted, while it is truly a luxury. The classes I attended ranged in diversity from The Victims of Cults to Elder Abuse and Mandatory Reporting to A Survivor’s Story of Trauma and Beyond, followed by walks around beautiful Keystone Lake and on trails in the woods to digest, ponder, and process the information. And as I walked I realized those classes taught me far more than what they were intended to. Not only were they educational for my career, but for life in general. 1.) Five people can hear the same exact words, but depending on where each is in life, or what each is going through, there will be five different perceptions of the same message. For instance, years ago I heard an instructor say that after a crime, the victim will never return to normal as s/he once knew normal to be, but s/he will develop a new normal. As someone who works with victims of crime, that insight had always stayed with me. However, when I found myself the victim become survivor of a crime, I struggled to make sense of that sentence, and it meant something completely different. When we, the class participants, spoke with one another between classes or at meal times, it was educational in and of itself what each got from the same class. One conversation made me feel like we were in different classes, when in reality we were hearing the same speaker at the same time. 2.) Each and every person has so much to bring to the table–diversity, backgrounds, experiences, perspectives–that rather than cut your own experience and opportunity to learn off at the knees, limiting your potential growth, accept each person for exactly who they are, appreciating what they’re bringing to the table, rather than close your mind by judging them as different. Fight the urge to judge, and allow each difference to enrich your life. 3.) Something a very dear friend once told me, and that was reinforced by listening to conference speakers and participants: Sometimes what we go through in life seems hard because it IS hard. Simple as that. 4.) When the end of something fun is nearing (ie: the last evening/day of the conference, the last couple days of a vacation, the senses awaken, trying to experience all one possibly can, so as not to waste a single minute. Since each day of one’s life is one day closer to the last, none of us knowing when that day will be, wouldn’t it benefit us to live each day as if it were the last, living and experiencing life to fullest? 5.) Your past does not need to determine your present or your future. You have the control to make the choice to change and make your life a better place. 6.) Not wanting to hang with the group does not make one “anti-social” or a “snob”. Some people are truly comfortable with their own company and enjoy processing life in a solitary manner or with close friends and family. The next time you see someone sitting alone in a restaurant or at a movie, don’t pity them and assume they’re lonely. Chances are good they are there alone by choice.